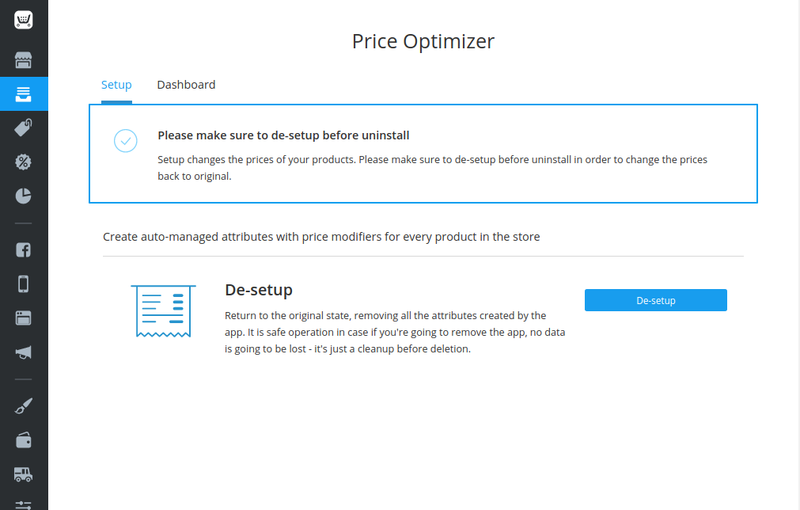 Automatic price increase: once it determines which price is leader, it increases the product price to the most optimal level – automagically! Tired of price-management? 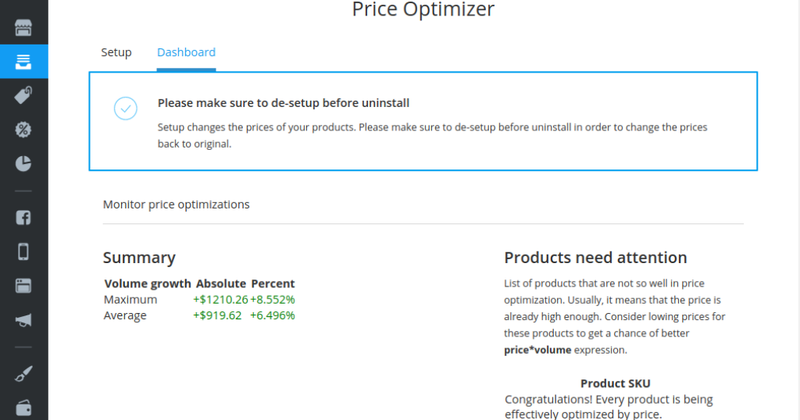 Try Price Optimizer! The point is not to just automatically increase the price – the point is to be sure your prices are best fit for your audience, making everybody happy. Why bother managing the prices, if you can delegate this routine to the robot, which is programmed for a single purpose: increase your profits by continuous A/B-testing of prices - automagically! App slightly modifies the price (up to 5% currently) for each unique visitor - and analyzes conversion to paid order, comparing to the conversion of original price. At any moment the price with the best price*conversion expression is used. 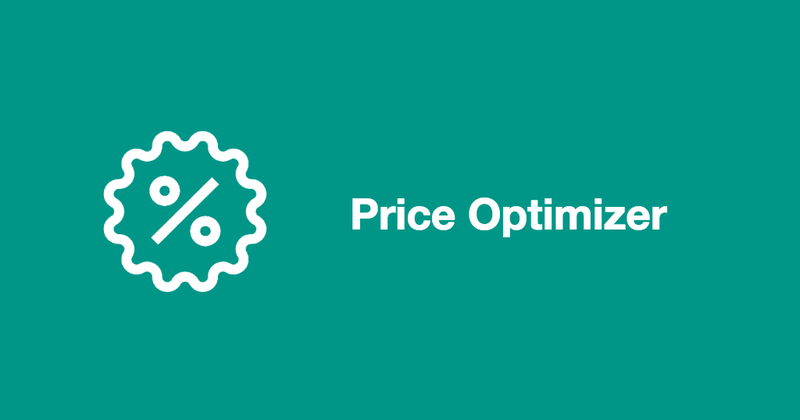 It means that at any moment your prices are optimal in terms of your revenue! Try app with free 14-days trial – to make sure it is worth your attention!